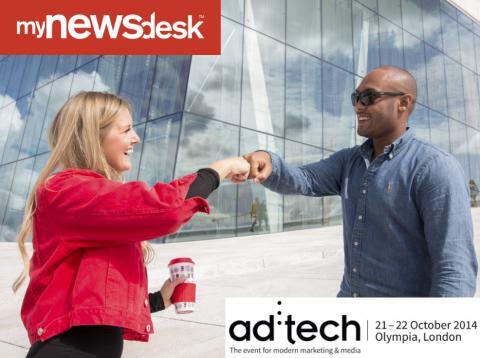 Ad:tech London, the world’s largest interactive advertising and technology exhibition and conference, officially announces Mynewsdesk, online newsroom technology provider, as their newsroom partner ahead of their 10th anniversary conference. The event will take place on the 21st and 22nd October in Olympia, London. 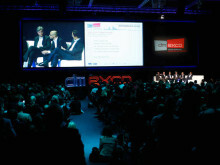 The partnership will for the first time enable the 100 speakers and 150 exhibiting organisations to share their news, stories and industry insights on ad:tech’s website via their online newsroom, in the run up to the event. Dan Brain, Head of Content at ad:tech, said “Our online newsroom, which we’ve hosted on our website, is really helping to create a buzz around our 10th anniversary event and has already begun fueling conversations around the key issues affecting the advertising and technology industries. Click here to view ad:tech London's newsroom. 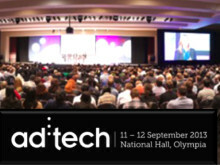 Mynewsdesk has been officially announced as the newsroom partner of ad:tech London, the world’s largest interactive advertising and technology exhibition and conference which takes place at Olympia on the 11th and 12th September 2013.